EDINBURG — Before joining the RGV FC Toros this year, Edinburg native Victor Garza played all over the world. He debuted in Liga MX at 19 years old, toured Europe with the UANL Tigres B team, trained with the United States U-17 and U-20 national teams and even had stints playing in Turkey and Armenia. In all his travels, he said he’s never faced a player with the level of name recognition he will encounter at 7:30 tonight, when RGV FC hosts Phoenix Rising FC and striker Didier Drogba. Drogba twice finished as the English Premier League’s top goal scorer and helped Chelsea to four league championships in nine years with the club from 2004-12 and 2014-15. He also had a storied international career, captaining the Ivory Coast national team from 2006 until his retirement from international play in 2014. He led the squad to three World Cup appearances and ranks as the nation’s all-time leading scorer with 65 goals in 104 matches. 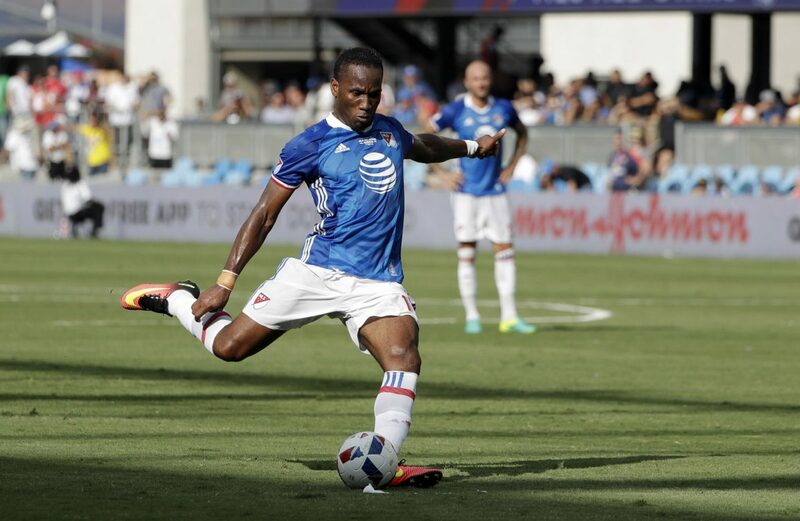 On April 12, the 39-year-old Drogba signed with Phoenix as a player and partial owner, and he has scored five goals in nine appearances this season. Garza said many of his friends from Mexico have told him they want to travel to Edinburg for the chance to see Drogba and Phoenix tonight. Phoenix is just 7-7-4 on the year — only marginally better than RGV FC’s 7-10-4 — but also boasts former English Premier League and England national team player Shaun Wright-Phillips as well as Mexican national team standout Omar Bravo, though Bravo was not listed on the team’s roster for Phoenix’s most recent match. Still, RGV FC coach Junior Gonzalez insists that his team isn’t “caught up in all the hype.” Yes, the Toros have to game plan to slow down Drogba, but it’s no different from facing any of the league’s other top scoring threats. He compared the experience to RGV FC’s preseason exhibition against CF Monterrey. Gonzalez’s primary concern is fortifying a defense that ranks 25th in the 30-team USL with 35 goals allowed this season. The Toros opened the year as one of the league’s top defensive teams, yielding just five goals over their first nine outings before conceding 30 in their past 12 matches. Gonzalez said one of the biggest issues has been one-on-one defending, something he hopes will be improved after the Toros signed Justin Bilyeu on Aug. 2. 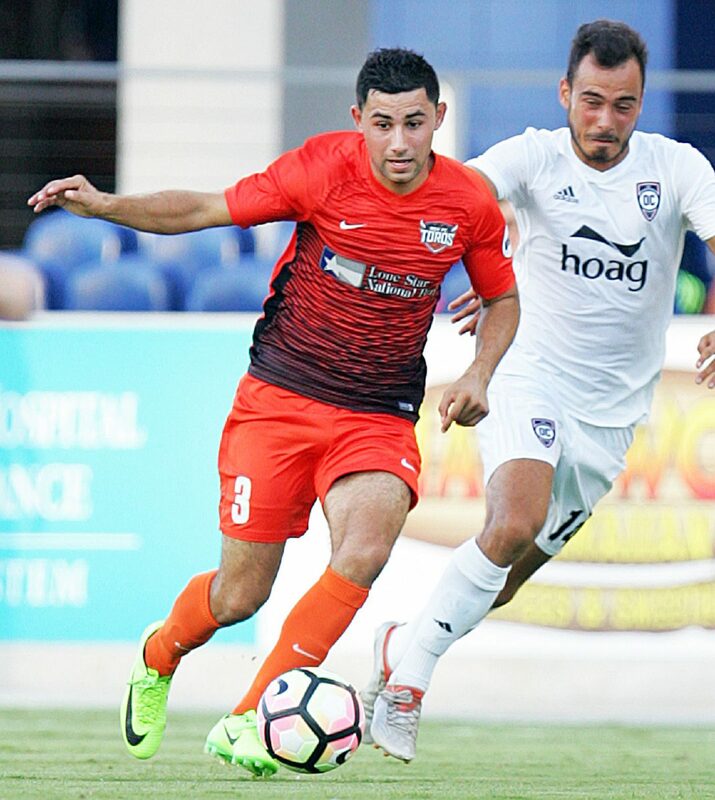 Gonzalez describes Bilyeu, who has started each of RGV FC’s past two games, as a smart, athletic player who knows when to step forward and create offensive chances. Bilyeu was waived from New York Red Bulls II on June 28 and spent about a month training with the MLS’s Chicago Fire before landing with RGV FC. Gonzalez said he’s been friends with Bilyeu’s agent for 15 years. About two or three years ago, Gonzalez coached a combine team that featured Bilyeu and fellow Toros players Todd Wharton and T.J. Casner.